99sets of storage 2 people IHB arrhythmia detection, WHO blood pressure classification.Intelligense pressurize, LCD screen,three colours of backlight optional	Voltage power detection,Low power consumption	Dimention 126×100×53mm not include Wristbands	Display Digital liquid crystal display	Accuracy ±3mmHg ±0.4kPa Fashionable outward,Light and compact,suitable for health care medical field,familes and adult	Auto power off:Auto power off when no operation for 1 minute Note:	Now this arm blood pressure monitor update, it now equipped with charging adaptor can use DC power directly. We also have EU 2 round pin plug transformer, AU plug transformer, 3 pin plug transformer. If you need it, please leave us the number of which kind of plug transformer you need. 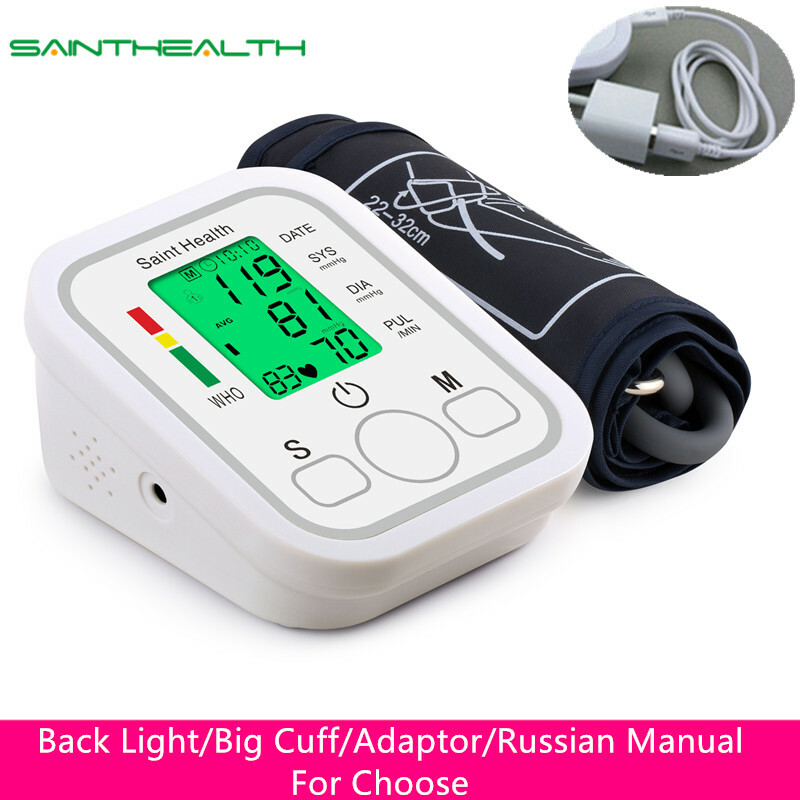 Why and when you need choose an upper arm blood pressure monitor tonometer? For celebrating Christmas and Happy New Year, Each day, 100 customers will get our goods with Christmas gift card and packing flower. The sending gift style will be different acoording to warehouse goods update. The Sending Gift Date will end on 8th, Dec.